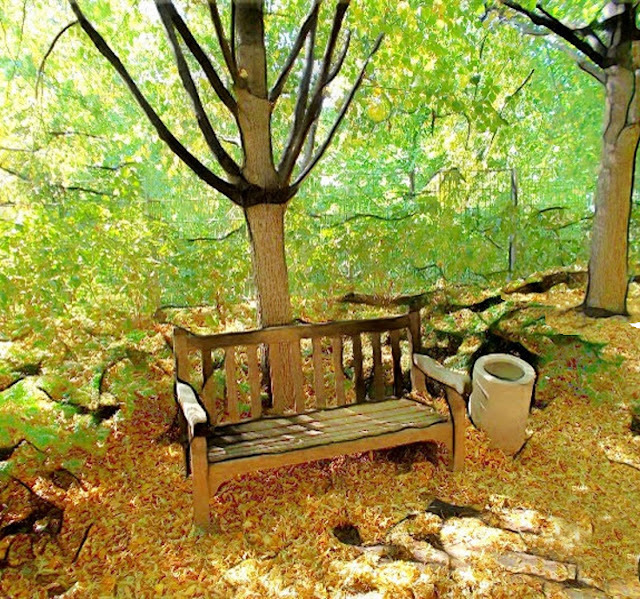 "Park Bench" -- digital design based on a photo of a park bench. 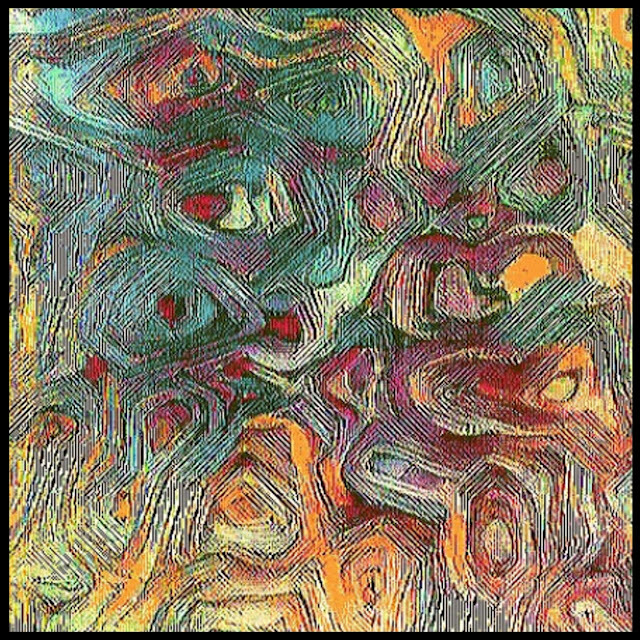 "Elements, 1" is an abstract expressionist digital design. 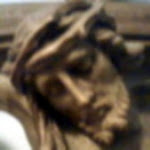 The theme is "elements." 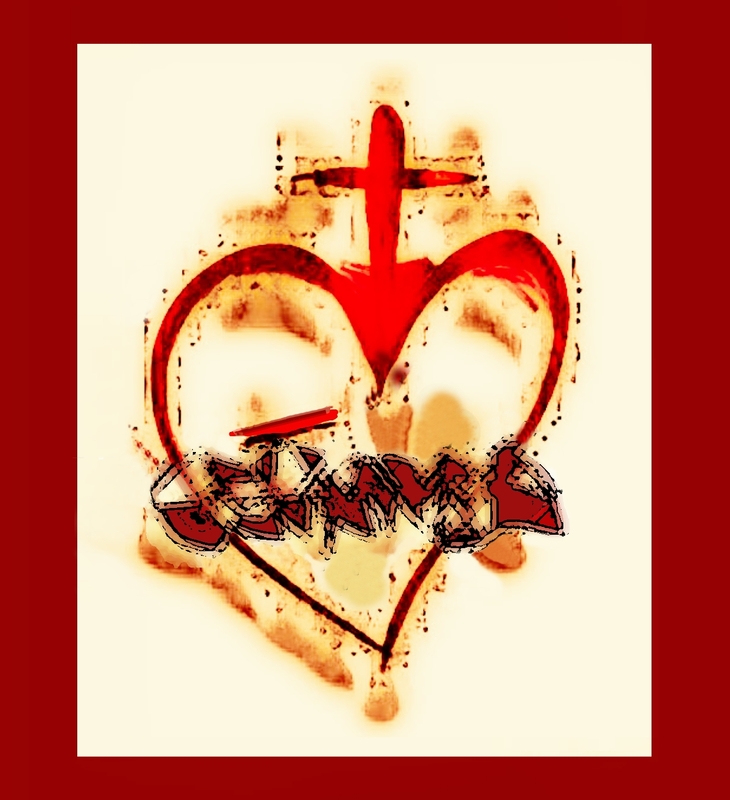 "Sacred Heart" for the Feast of the Sacred Heart of Jesus, digital design based on freehand drawing. 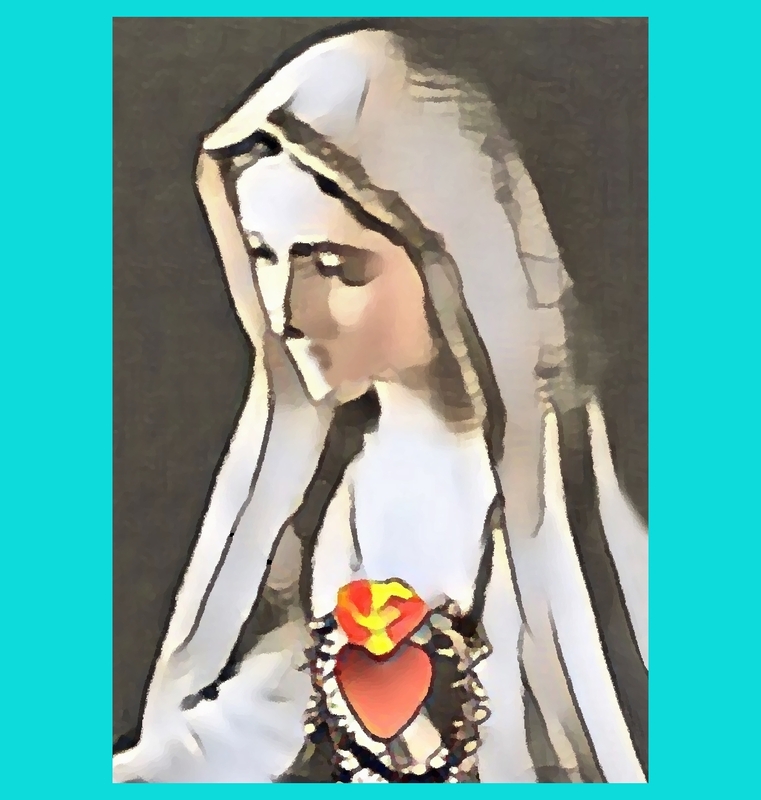 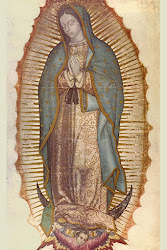 "Immaculate Heart of Mary" is a digitally stylized and augmented rendering of a photo of a common Fatima image.